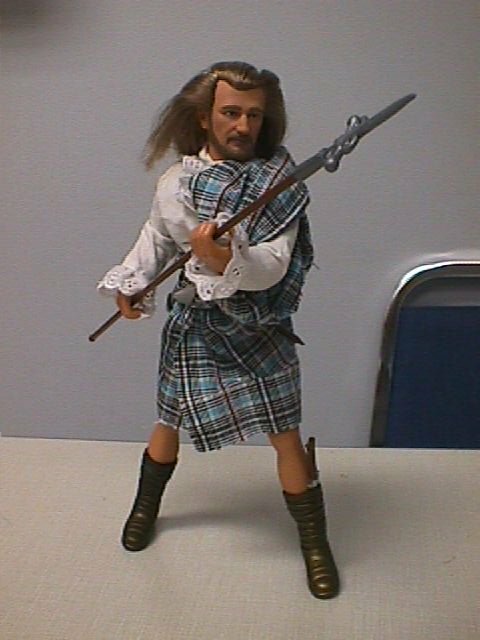 "Liam Neeson as Rob Roy"
The figure is a Kenner 12" "Qui-Gon Ginn" from "Star Wars: Episode 1." Boots from a "Famous Covers" Thor, with the tops cut off. 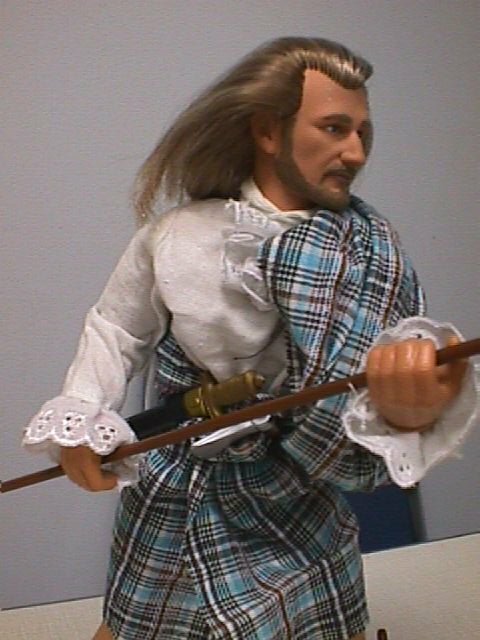 Shirt from a "Leaders of the World" George Washington. 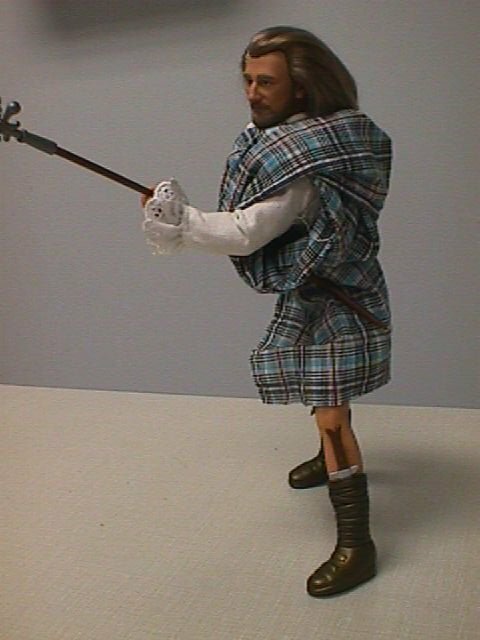 Weapons from the "Soldiers of the World" Military Weapons Assortment 1" Kilt is custom made from a 12" by 18" piece of soft plaid cloth.